Graveside service for Veta (Booze) Cornish, age 87, of Enid will be 10 am, Tuesday, September 11, 2018 at Waukomis Cemetery under the direction of Ladusau-Evans Funeral Home. 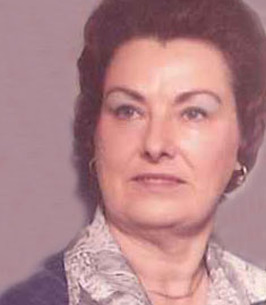 Veta was one of six children, born to Rita (Coates) and Everett Booze on October 13, 1930 in McWillie, OK. She passed away September 7, 2018 at her home in Lahoma,OK. She attended school at Oakdale and Elm Flat, moving to Lahoma in 1942 where she attended Lahoma Public Schools. She married Cecil J. Cornish January 10, 1949 in Ada, OK. They made their home in Drummond, OK. He passed away April 8,1990. Veta was a clerk at the Drummond Post Office for 21 years. She was a private sitter for several years after retirement. She received her 50-year pin from Waukomis Eastern Star (now Enid 36). She was worthy Matron in 1964 and 1975. She moved to Lahoma in 1995 to be near her mother, Jack, Jeff & Keagan. 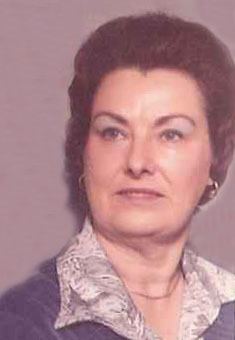 Veta served 2 years as president of Lahoma Senior Citizens and was a member of NARF. She was also a member of the First Baptist Church of Lahoma. She enjoyed playing canasta and hand and foot with her friend, Karen. She liked to travel with her friend Kay, especially to the Grand Canyon and Las Vegas. The trip she enjoyed the most was when the five brothers and sisters went to Utah, Idaho, Oregon and Jackson Hole, Wyoming. She loved doing yard work while her health permitted. She is preceded in death by her parents Everett and Rita Booze; husband Cecil J. Cornish; and two brothers, Everett and Jack. She is survived by two sisters, Joan Leemer of Ames; Pat Dresser, one brother, John, both of Enid; and nephew Johnny Turner, of Drummond. Condolences may be made online at www.ladusauevans.com. To send flowers to the family of Veta J Cornish (Booze), please visit our Heartfelt Sympathies Store. We encourage you to share any memorable photos or stories about Veta. All tributes placed on and purchased through this memorial website will remain on in perpetuity for future generations.